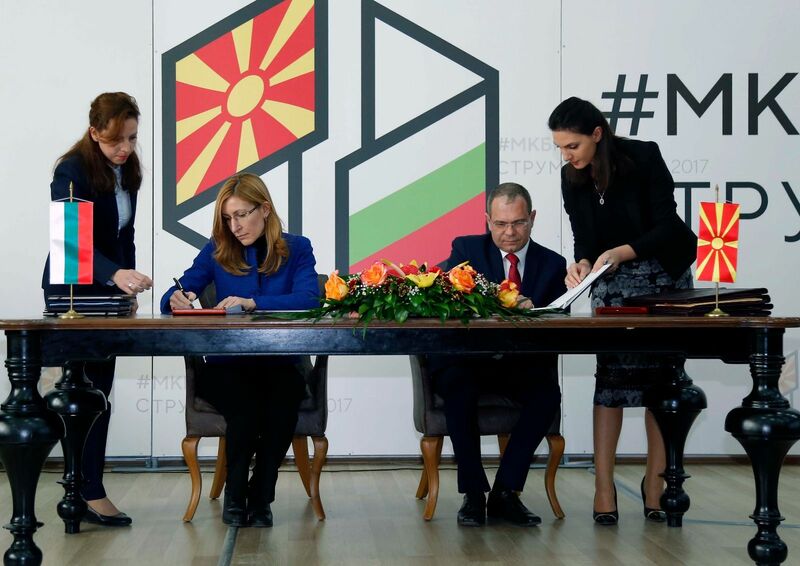 The Ministry of Tourism of Republic of Bulgaria and the Ministry of Tourism of Republic of Macedonia signed a cooperation protocol. The document was signed by the Minister of Tourism, Nikolina Angelkova, and by Kire Naumov, Deputy Minister of Economy. The signing ceremony took place following the joint government session between Bulgaria and Macedonia. The two countries agreed to encourage the strengthening of cooperation in tourism and work towards boosting the tourist flows to each other. The agreement also envisages support of participation in tourism fairs and other tourism events. The parties will coordinate the dissemination of tourism publications and advertising materials. It is stipulated that Bulgaria and Macedonia are to support each other when participating in conferences, seminars, councils, exhibitions, and other events. It is planned, by virtue of the protocol, that the states promote development of joint tourism products competitive on third tourism markets and advertise and market these jointly. The document states that the parties will support the arrangement of travel tours for third-country experts and media representatives specializing in tourism, as well as cooperate within UN’s World Tourism Organization. Macedonia is among the leading tourism markets for Bulgaria. During the January-September 2017 period more than 413 000 Macedonia nationals travelled to our country, registering a 5,8% growth compared to the same period of 2016. Thus, Macedonia ranks 6th in terms of tourism-generating markets for Bulgaria. Last year over 527 000 visitors came to Bulgaria from the neighbouring country, this being an 11,4 per cent growth compared to a year earlier. Traditionally, Macedonian tourists come to our country to visit the Black Sea resorts but there is also solid interest in winter resorts, such as Bansko, Borovets, and Pamporovo. Bulgarians also travel actively to Macedonia. During the January-September 2017 period more than 319 000 Bulgarians visited the neighbouring country, a 10,7% growth. Throughout 2016 the travel exceeded 360 000, registering a 14 per cent growth. Thus, Macedonia ranks 5th in terms of overseas travel destinations preferred by Bulgarians.